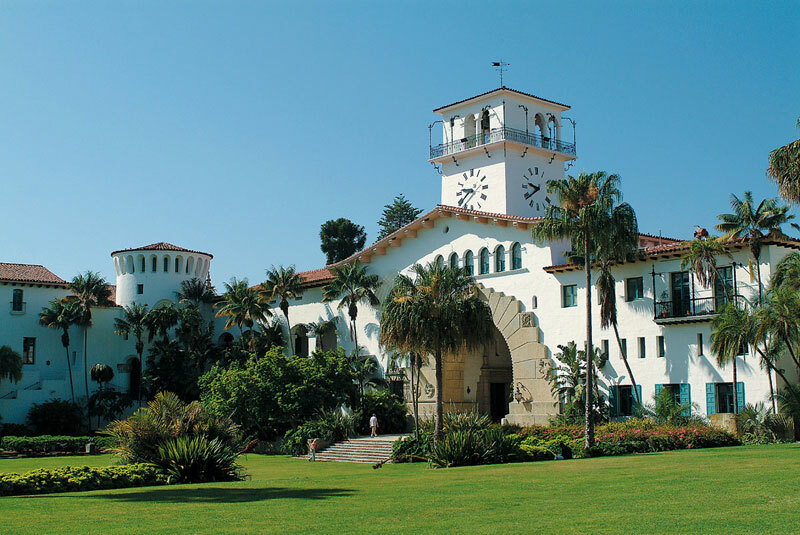 The Santa Barbara County Courthouse will test its new clock tower bell system on Friday, March 30, chiming at odd time intervals throughout the day. S.B.’s clock tower is undergoing a massive internal renovation, funded entirely by donations, that will culminate in the opening of the Bisno Schall Clock Gallery. Housed in the tower, the living museum dedicated to time and Santa Barbara courthouse history will be completed next month and opened to the public by the summer. In years past, chimes emanating from the tower would sometimes not match the time displayed on its clock. The new system — tinkered by volunteer Bryan Mumford of Mumford Micro Systems — will be much more accurate, thanks to custom-made magnetic micro-switches installed on the clock. Mumford, with the help of UCSB acoustic engineers, borrowed the courthouse’s bell sounds from the carillon system in UCSB’s Storke Tower.